Filter bank-based multicarrier modulation (FBMC) using offset quadrature amplitude modulation (OQAM), known as FBMC/OQAM (or OFDM/OQAM), provides an attractive alternative to the conventional cyclic prefix-based orthogonal frequency division multiplexing (CP-OFDM), especially in terms of increased robustness to frequency offset and Doppler spread, and high bandwidth efficiency. It suffers, from an inherent (intrinsic) imaginary intercarrier interference and inter-symbol interference that complicates signal processing tasks such as Channel Estimation (CE). Recently, Interference Approximation Method (IAM) was proposed for preamble-based CE. It relies on the knowledge of the pilot's neighborhood to approximate this interference and constructively exploit it in simplifying CE and improving its performance. The IAM preamble with nulls at the neighboring time instants, and extended version of it, which can provide significant improvement through an appropriate exploitation of the interfering symbols from neighboring time instants that results in CE performance was recently reported. In this paper, we present Interference Approximation Method (IAM-C) preamble design and apply it to identify the optimal IAM preamble sequence which results in a higher gain. 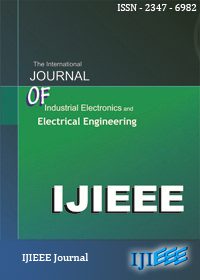 Keywords- FBMC/OQAM, Channel Estimation (CE), Interference Approximation Method (IAM), Extended IAM-C (E- IAM-C).